Search the cheapest homes for sale in Redding, CA, as well as find cheapest land for sale in Redding, CA – with our comprehensive nationwide database of real listings that includes cheap foreclosed homes in Redding, CA. 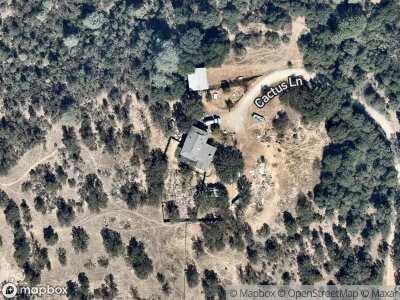 Whether it's cheap mountain land for sale or cheap beachfront homes for sale, Foreclosure.com has compiled the best places to buy a house in Redding, CA for the lowest possible price – land for sale in Redding, CA for under 5,000 dollars and land for sale in Redding, CA for as cheap as $100 per-acre! Click on a nearby city and/or county below to begin searching for the cheapest properties and land for sale in your area right now to see for yourself. Redding, officially the City of Redding, is the county seat of Shasta County, California, in the northern part of the state. It lies along the Sacramento River, 162 miles (261 kilometers) north of Sacramento, and 120 miles (190 km) south of California's northern border, shared with the state of Oregon. Interstate 5 bisects the entire city, from the south to north before it approaches Shasta Lake, which is located 15 miles (24 km) to the north. The 2010 population was 89,861. Redding is the largest city in the Shasta Cascade region, and it is the sixth-largest city in the Sacramento Valley, behind Sacramento, Elk Grove, Roseville, Vacaville and Chico. During the gold rush, the area that now comprises Redding was called Poverty Flats. In 1868 the first land agent for the Central Pacific Railroad, a former Sacramento politician named Benjamin Bernard Redding, bought property in Poverty Flats on behalf of the railroad so that it could build a northern terminus there. In the process of building the terminus, the railroad also built a town in the same area, which they named Redding in honor of Benjamin Redding. In 1874 there was a dispute over the name by local legislators and it was changed for a time to Reading, in order to honor Pierson B. Reading, who founded the community of Shasta, but the name was officially changed back to Redding by 1880. It has been called Redding ever since. Before European settlers came to the area, it was inhabited by a tribe of Native Americans called the Wintu. There are currently 1 red-hot tax lien listings in Redding, CA.